Before we can ever start working on your yard, first we must plan for it. And we want to match all your needs in Memphis, TN landscape design. We’ll map out the entire process for you, in stages if necessary, and gradually work our way up to completing a new look for your yard and garden. We can design anything you can dream up for your front yard, backyard, or anywhere else on your property. 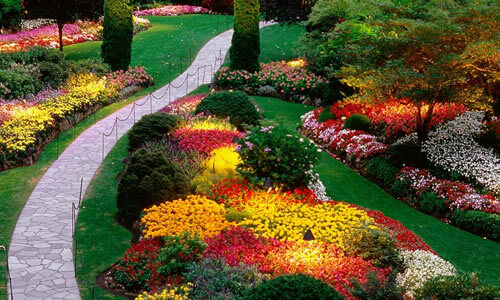 Our skilled experts on landscape design in Memphis, TN can work with you to create the perfect utopia for your home. Why use Arbor Tree Care for Landscape Design in Memphis, TN? It’s important to get your landscaping done correctly. With a blueprint for designing yards we can build an oasis for you in less time and for less money than unplanned landscaping services in Memphis, TN. Also we’ll keep the changing of seasons in mind for all year round beauty. Improving your landscape can have financial advantages as well, greatly increasing your home’s market value. Some estimates guess that for the average sized home, the landscape can equal up to as much as twenty percent of the home’s total value! So, to increase your net worth call us here at Arbor Tree Care for superior landscape design in Memphis, TN. Through careful planning and management, we can build upon your dreams and make them a reality. We’ll take whatever idea you have for landscape designs in Memphis, TN and construct them in your yard with the aid of our professional landscape and tree service Memphis, TN specialists. You’ll be involved as much as you like, and we can take you through the entire process step by step if you so desire. And we will listen to your needs, be wary of your budget, and be cautious of your timetable. Make no mistake, you’ll get the best landscape design Memphis, TN has to offer with Arbor Tree Care.